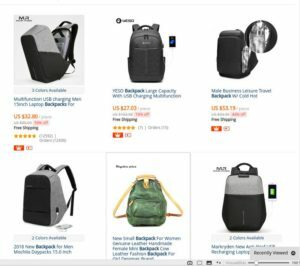 Tactical backpack use high intensity durable Oxford 900D fabric material with double stitching, utility-style cord pulls and flawless construction, best military survival assault gear backpacking and daypack bugout rucksack. High quality zippers that are rust resistant and dual nylon zipper pulls on all compartments. Two (2) padded large compartments to hold bulkier items and two (2) front compartments to hold smaller accessories . Main compartment features a mesh pocket and zippered pocket for storage and an elastic band to secure clothing. Perfect for Camping, hiking, traveling,Trekking ,vacation, school and shopping,It can be used as 3 day assault pack.It will be a fantastic necessity for any outdoor activities. Padded and adjustable shoulder straps. Side compression straps. Adjustable & removable chest belt and hip belt. Caution: From now on, there is a gift flag for you.The flag can stick to the top of the front side with the velcro on tactical backpack. SPECIAL COMPARTMENTS and POCKETS: Back pocket with velcro closure holds up to a 2.5L hydration water bladder or up to a 15″ laptop. Tons of small pockets that will hold a multitude of accessories.